One of London’s most famous landmarks – and the the largest brick building in Europe – is about to get an injection of ultra-high tech glamour as Apple moves into the capital’s Battersea Power Station. 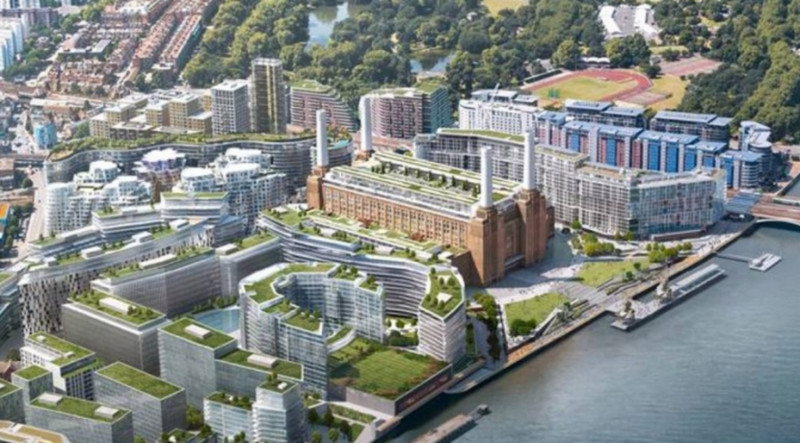 The US technology juggernaut will be the largest office tenant at Battersea Power Station (BPS) occupying approximately 500,000 square feet, across six floors of the central Boiler House inside the historic building. Apple is expected to move into the BPS in 2021. BPS in the borough of Wandsworth, in the south of the capital, will be Apple’s new London campus and its office will account for circa 40 per cent of the total office space in the whole development. Apple on Wednesday said it is aiming to open the BPS campus in 2021. Some 1,400 Apple employees from existing offices around the city will relocate to the major new development, dubbed “Dubai-on-Thames” by the London newspaper the Evening Standard, at one of the capital’s best known buildings. Apple said the decision gave it the opportunity to have its entire team working and collaborating in one location while supporting the renovation of a neighbourhood rich with history. “We are delighted that Apple has chosen to make Battersea Power Station its home in 2021,” said Rob Tincknell, the chief executive of Battersea Power Station Development Company. “It is testament to our fantastic building and the wider regeneration of the 42-acre site.” he said. The development site comprises a mix of homes, businesses and leisure and is close to new transport links. BPS is owned by the Malaysian shareholders Sime Darby, SP Setia and The Employees Provident Fund (EPF). 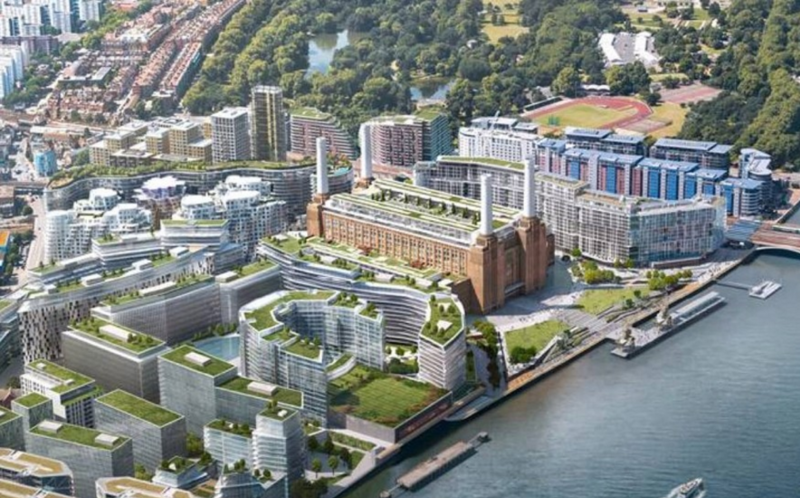 The development is managed by the UK’s Battersea Power Station Development Company. The company says that the transaction represents the largest office letting in London’s wider West End in the past 20 years and the development is being regenerated to accommodate what is the largest mixed-use project in Central London. The project, which is now under construction, has planning consent for more than 8.5 million sq ft of space which is split approximately 50:50 between commercial uses and residential. At the heart of the development is the historic BPS, designed by Sir Giles Gilbert Scott. It is a Grade 2 listed former coal-fired power station which is being restored in consultation with Historic England and will include the Apple office accommodation. The vast structure will include 2 million sqft of new space designed by the architects WilkinsonEyre and also includes 253 new homes. To the north of the Power Station will be a six-acre public riverside park, and to the south will be a piazza style town square designed by BIG – Bjarke Ingels Group – known as Malaysia Square, which links to the Electric Boulevard and the new London Underground station located at the development. The power station is located just minutes from Chelsea and the neighbouring 200-acre Battersea Park, both of which are easily reached by foot via Chelsea Bridge and the Thames footpath respectively. The new River Bus operating from BPS will service the West End and The City from Autumn 2017. In addition to upgraded mainline train services operating from Battersea Park and Queenstown Road, a new Zone 1 tube station is currently under construction, which will serve people working and living at the Power Station and the surrounding area. Tunnel-boring machines will arrive on-site later in 2016 and the new underground station will be operational in 2020. Across the entire project there are eight development phases. Phase 1, which is called Circus West, comprises 865 homes, 23 restaurants and shops. The first homeowners will begin moving in at the end of 2016 and the first new commercial tenants will open in spring 2017. The development company says the successful regeneration of BPS will create 20,000 new jobs, inject £20 billion (Dh 95.57bn) into the UK economy and create a funding mechanism for the first major tube line extension since the Millennium. There are currently over 3,000 workers on site and the firm says that results in £2 million being injected in the UK supply chain every day. Battersea Power Station, one of the most famous examples of art deco industrial architecture, became operational in the 1930s. Bands including Pink Floyd with its famous Animals album cover, The Who, Morrissey, Hawkwind, The Jam, Rihanna and Beyonce have all performed at the world famous “venue”. Sir Elton John, who played at the 2014 Power Station residential launch event, was the last person to perform before the site closed for redevelopment.